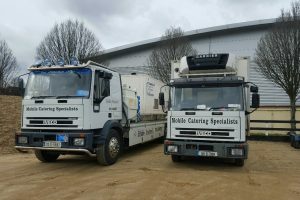 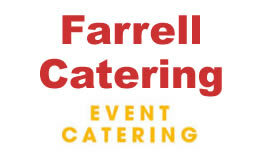 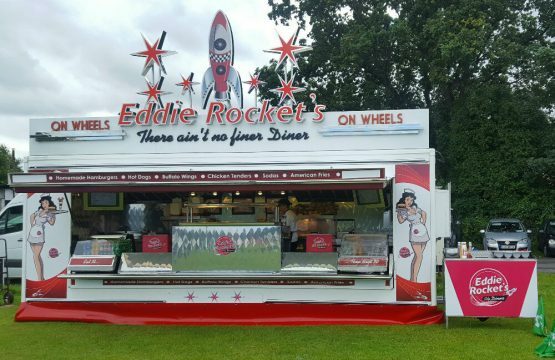 This purpose built catering unit is a mobile version of the classic Eddie Rocket's Fifties diner. 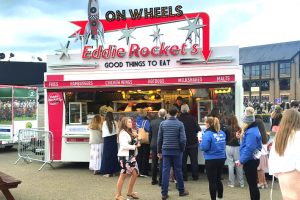 The On Wheels menu has the same high quality food as the City Diner, but is simplified to cater for the largest of crowds. 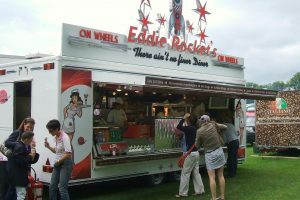 Eddie Rocket's on Wheels units are high impact, visually appealing, mobile versions of the famous City Diners. 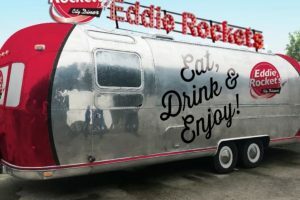 The unit features custom signage, LED lighting and digital menu boards, all in keeping with the classic chrome and red fittings inspired by the famous City Diner. 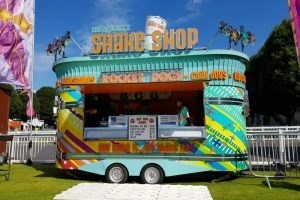 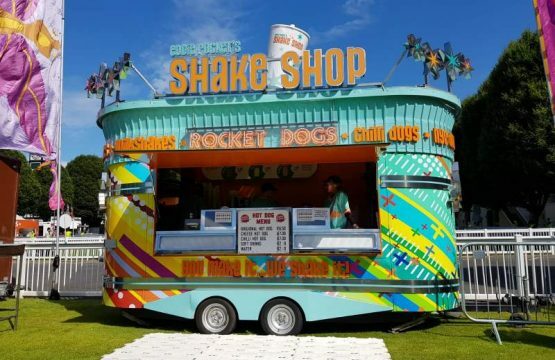 The Eddie Rocket's 'Shake Shop' on wheels takes chocolate bars, sweets, biscuits, fruit, and more and blends them with ice cream made to create the perfect customised milkshake!